National Achievers Congress: The Ultimate Wealth and Achievement Summit is a Two day mega-event of top strategies for success in 2019 featuring proven successful leaders. Personal and professional success begins by taking action and all successful people share one powerful characteristic: hunger. The hunger to seek out knowledge through the most effective resources. Our speakers began their journey from the bottom of the mountain and now they want to share the top of the mountain with you by sharing their experience and knowledge. 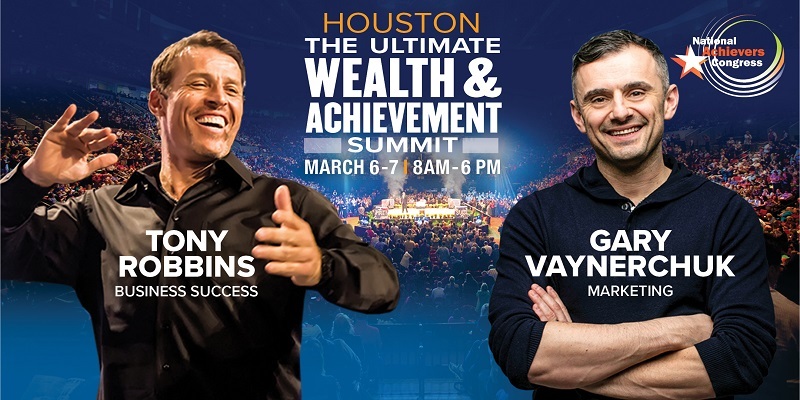 The Ultimate Wealth and Achievement Summit has brought together a lineup of the best speakers that will share how to succeed in all areas of your life including: motivation, personal development, lifestyle, relationships, business, wealth and so much more! You will not want to miss the most impactful wealth and achievement seminar you will ever attend.